Jamie Carragher laughed at the suggestions Manchester United will allow Sir Alex Ferguson to do the team-talk at Old Trafford today before the match. 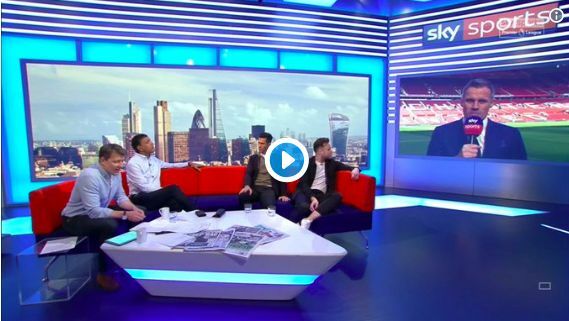 Our former defender turned Sky Sports pundit was speaking to Goals on Sunday, and claimed to have seen Bobby Charlton warming up as well – much to the amusement of Chris Kamara – who claimed Bryan Robson’s on the bench! It shows how rattled United are by Liverpool’s resurgence that they’re going to such lengths just to try and stop us winning the title, really. It’s up to Jurgen Klopp and his team to stop them – and then do damage of our own.